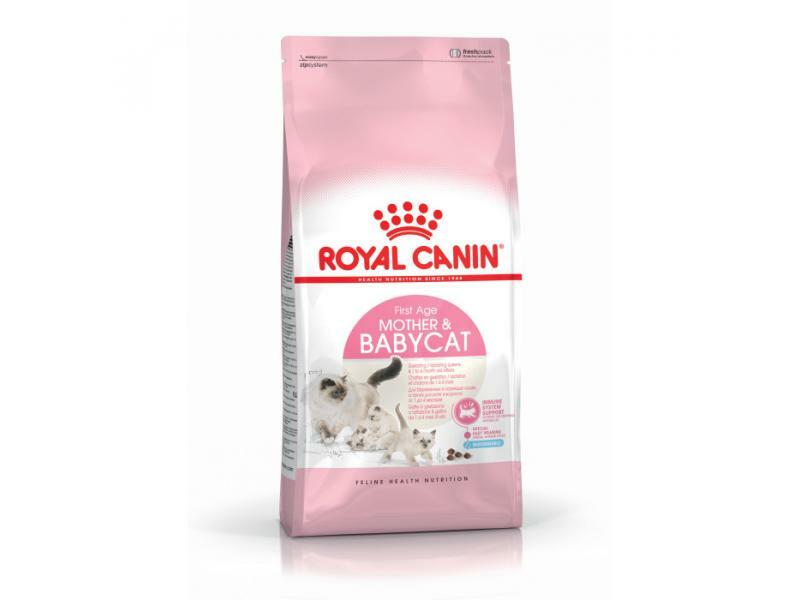 Royal Canin Feline Health Nutrition Mother & Babycat Food comes packed with an exclusive combination of antioxidants including Vitamin E for support during the natural immunity decrease in colostrum. An adapted kibble to facilitate the transition from milk to solid food, combined with enhanced digestive tolerance with highly digestible protein (L.I.P. *) and Prebiotics. Suitable for queens during gestation and lactation and kittens from 1 - 4 months. Suitable for Queens during gestation and lactaion and kittens from 1 -4 months. Dehydrated poultry protein, animal fats, rice, maize flour, vegetable protein isolate*, hydrolysed animal proteins, yeasts and parts thereof, fish oil, vegetable fibres, beet pulp, soya oil, minerals, fructo-oligo-saccharides (0,34%), hydrolysed yeast (source of manno-oligo-saccharides), marigold extract (source of lutein). There are currently no questions for Royal Canin Feline Health Nutrition First Age Mother & Baby Cat Food - be the first to ask one!